One of the most powerful, yet user-friendly Bento is an advanced WordPress theme that is suitable for a range of websites. 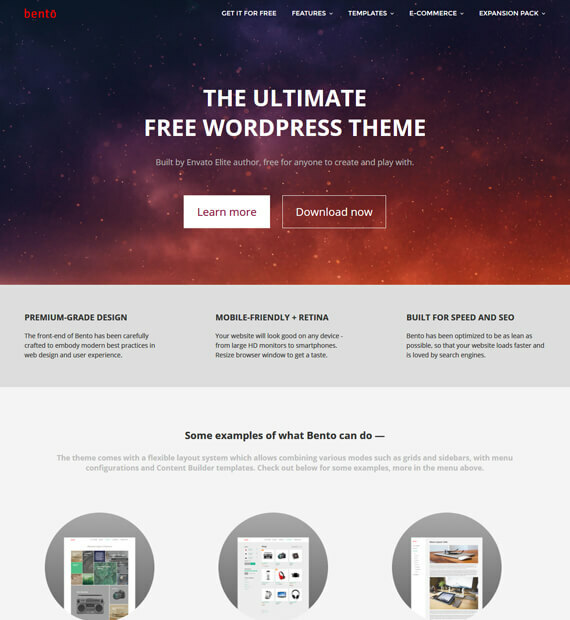 Highly customizable and easy to access, this theme will make your WordPress even better. The theme features a premium-grade design with great features including SEO and speed optimization. You can even choose to build and create on their inbuilt layout design that you can customize to fit your needs. The responsive and user friendly design makes your site not only efficient but appealing to your users as well.